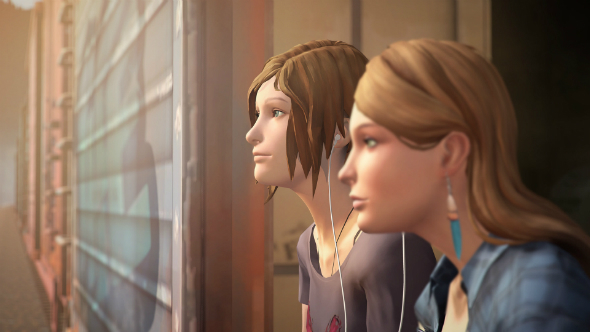 A new video for Life is Strange: Before the Storm entitled “Chloe and Rachel” has been released. It gives insight into the writing and voice over work that’s gone into the two leading characters in the forthcoming Life is Strange prequel. Do you think Life is Strange earned itself as one of the best adventure games on PC. We certainly do. As you can see in the video above, Ashly Burch gets some airtime, who was Chloe’s voice actress in Life is Strange’s first season, but acted as a writing consultant for Before the Storm. Burch didn’t reprise her role as Chloe in Before the Storm due to her participation in the SAG-AFTRA actors’ strike. This is a sentiment that is reflected in the anecdotes told by Chloe’s new voice actress, Rhianna Devries. At one point in the video, she recalls working with the voice over director, who told her as motivation that “you can’t be with someone you love any more.” That line seems to have impacted her and her performance a lot. Lead writer Zak Garris also shows up to talk about working with both Burch and Devries, but also goes on to talk at length about how he wrote the relationship between Chloe and Rachel, the two stars of Before the Storm. He says that while we know the two girls are very close, that doesn’t necessarily mean Rachel is a hero to Chloe, or that she’s a good influence on her. He teases that our decisions in Before the Storm will have a “big role” on their relationship and will impact how Chloe perceives Rachel. Watch the video for more on that. As to how long you’ll have to wait to play Life is Strange: Before the Storm, it’ll be released as three episodes, with the first entitled “Awake” coming out on August 31st. You can see pre-purchase the game on Steam for $16.99/£13.99.